If West Ham United wants to preserve its mini-chances for Europe, a win against FC Fulham is a must. The cottagers in turn need every point in the relegation battle. London derby! FC Fulham have an away game on Friday night, but the team does not have to travel far: The Cottagers are playing for Startrivale West Ham United. The favorites enjoy the Hammers – despite a currently weak balance sheet. Why? Because the table ten (33 points, 32:39 goals) receives the penultimate (17 points, 25:58 goals). Most recently, West Ham United played 1: 1 twice in a row. Twice the same result – and yet the feelings after the final whistle could not have been more different. 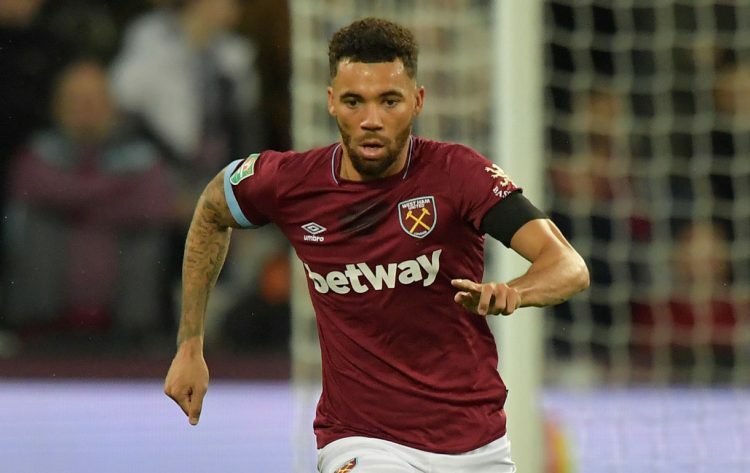 Three weeks ago, at the first of the two draws, the players were happy in their arms: After three defeats in a row, the Hammers had managed to squeeze a point from the big Liverpool FC. The 1: 1 against the then league leaders was the bottom line a result of impeccable work: Defensively, all eleven men were fully in, offensively the team put occasional pinpricks, tactically presented the Hammers optimally adjusted, so that the Reds at the end hardly something came to mind. The 1: 1 draw – a point like a win. A week later, however, looked at the audience after the final whistle in perplexed Secured. The Hammers were a little bit embarrassed when they failed to manage their 1-0 half-time lead: In the closing stages, United could no longer resist the pressure of the opponent and conceded the deserved draw. The bottom line is two draws, one of which exceeded expectations, while the other caused disappointment. In a larger framework, this continued a negative trend: Although ended the three games against Liverpool continuous defeat series West Hams, but for a victory, the Hammers have been waiting for five competitive matches or six weeks. In the end, this balance fits seamlessly into a season in which positive surprises take place as well as negative ones – and victories (9) as well as defeats (11). Which side does Fate turn against Fulham? West Ham coach Pellegrini is unlikely to take any special risks and to call on his time-tested players. Slowly it becomes inevitable: A gap of seven full points meanwhile gap between FC Fulham and the non-descent region. A gap that the team will probably no longer overcome – after all, you have after two second-thirds only 17 counters in the account. So what motivates a designated relegated person in the coming weeks? It may be a mix of the will to preserve dignity, prove his first-division opportunity and not least the courage of despair – maybe the latter weighs even the greatest. Because it is also clear: Should the Cottagers unexpectedly start a series, two, three wins in a row, the world would suddenly look different. Hopeful. However, there was little indication of such a scenario in recent weeks and months. With the exception of Fulham’s intoxicating 4-2 win over Brighton & Hove Albion some three weeks ago, the team barely showed competitiveness. Accordingly, the balance of the calendar year 2019 can be read: Six defeats from seven games. It has even become quite clear recently that they lost 2-0 to Crystal Palace before the team were dominated by Manchester United at home. It was clear against the Red Devils that Fulham will not be able to hold up against top teams. The 0: 3 seemed even flattering in height. All in all, fans and leaders of the traditional London club must therefore prepare to relegate after just one year of excellence. However, as long as the computational opportunity still exists, the courage of despair will also drive. Whether he leads the team to victories, will show up – not least against West Ham United. As I said: are considered to be favored in the betting market, the host Hammers – but with certain limitations. The fact that the bookmakers doubt the team’s ability to win shows the number of victory points. There is no point in talking about a clear cause – and that is justified. Although the Hammers have collected almost twice as many points as their counterparts in the season so far, hardly any team in the current season is more volatile and less reliable than the team from Manuel Pellegrini. Even though West Ham can bring the undisputedly higher class to the pitch, it must still be doubted that the team will play to their advantage. And Fulham? The Cottagers stumble with seven points behind on the saving shore to the descent, the Mission relegation seems to be more and more to the Ascension Command. The current emergency could unleash new forces, but it is likely that the team shows its usual weaknesses – which are mainly on the defensive. From this assumption, a valid betting option can ultimately be fostered: Fulham is by far the worst defense in the league with 58 goals, and West Ham also conceded a lot with 39 goals conceded. Offensively, both teams have enough weapons to use their defensive defenses. In this respect, one can justifiably assume a chance-rich game, at the end of which just wins that team that has shot the decisive goal more after a wild exchange of blows.